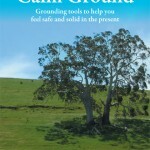 Megan is available to give presentations based on the ideas raised in her book Calm Ground. The basic tenet of Calm Ground is that we all need to get more grounded at times to feel safe and solid in the present and that this skill is vital to managing our emotions, thoughts, and behaviours. Grounding allows us to create moments of calm for ourselves and this helps us to regroup and deal with situations more effectively than we would otherwise. 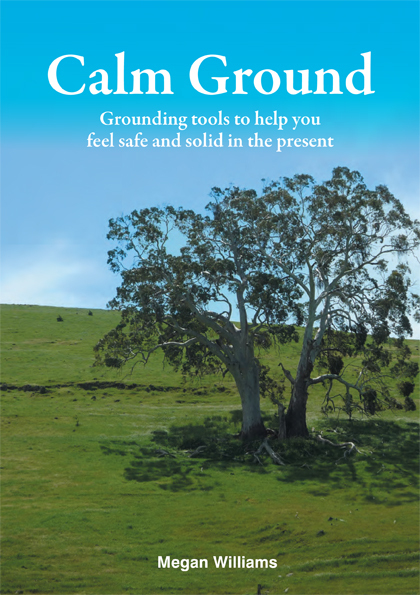 Grounding is therefore a useful skill in many contexts and for many people. Whether you are looking for a concise one hour presentation or a more extensive exploration of these issues, I would be delighted to discuss your needs. 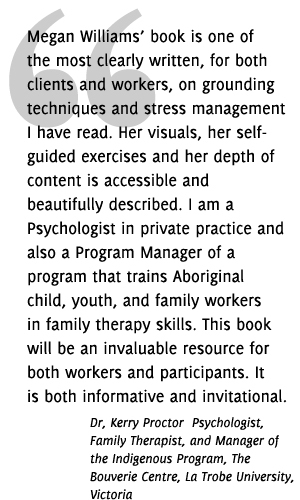 Please go to the Contact Me button after you have read this section. 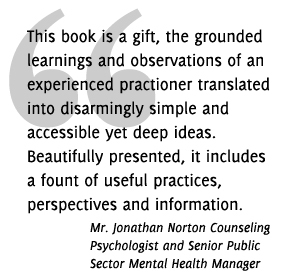 The content and ideas in Calm Ground can be helpful to clients, the general public, as well as being a good resource for practitioners and people in management wanting to assist their workforce to manage stress. Therefore the content has wide application and presentations can be tailored to fit many different settings some of which are listed below. If your group or organization is not listed it is only because the practicality of the ideas is so broad that it is not possible for me to list every one. Workshops for staff in both the private and public sector.